We take the welfare of our employees very seriously which we why from the outset we have implemented training and protocols in order to reduce the risks associated with long-term exposure to asbestos. Since our work is considered non-licensable our adherence to this strict worker protection program may not be as rigorously followed by others. Roofing work will lead to contact with cement bonded ‘Chrysotile’ or white asbestos, but you won’t find us working with anything ‘friable’ meaning that is easily crumbled by hand such as ceiling tiles or sprayed on insulation. 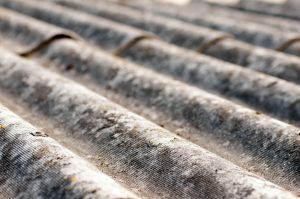 Any exposure to the asbestos fibres is dangerous because it disrupts the lungs functioning capabilities and can lead to diseases such as Lung Cancer, Asbestosis and Mesothelioma. The long-term effects to asbestos exposure may not even be noticed for over 15 years. Asbestosis is a silent killer as thousands of cases go unreported as the diagnosis can be perceived wrongly. 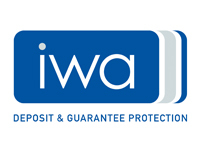 Working within the Non-Waste Framework Directive and because we’re Licensed Waste Carriers allows us to transport and store bonded asbestos and other waste before it is taken to landfill. Where possible, we will try to recycle metals.